How much time do you spend trying to find lost things? It’s said the average person spends a full 2.5 days per year looking for lost items! People should be doing other, much more important things besides tracking down misplaced belongings. So take back your time with XY Findables! Since our top 1% Kickstarter Campaign in 2014, we’ve been on a mission to make everything in the World “Findable”! At XY we understand it takes different methods to find different stuff. That’s why we’re making a complete toolbelt and ecosystem of findable and trackable technologies. GPS trackers, NFC tags, Tracking Chips, RFID Stickers, etc.... there are multiple strategies we’re using and developing that will rapidly change the way the world locates things. We’ve found that this XY4+ Bluetooth Trackr is perfect for personal items, those that are easily misplaced but normally right under our nose. XY4+ attaches to virtually anything, and then you can easily monitor its last known location in our app. Have kids or Pets? Use XY4+ in close proximity as a location monitor! -- Get notified when your dog, cat, or children leave the 300ft range of your cell phone! XY4+ has upgraded Volume, Battery, and Custom Settings; plus, it’s water-resistant and durable to withstand the elements. Great gift or accessory for any occasion! ✔ FIND THINGS WITH EASE! XY4+ is a compact and powerful Bluetooth tracking device. It easily hooks on keychains, fits into a purse or wallet, or simply adheres to anything you want to keep track of! ✔ MAP IT. RING IT. LOCATE ITEMS! Lose something? See the last place you had it on the Map within the XY Find It Mobile App (Available on Android PlayStore and Apple App Store), then make it ring when it's nearby. It's so easy! Ringer function works both ways - misplace your iPhone or tablet? Press the XY button to make your phone ring - even on silent! ✔ CUSTOM SETTINGS! Forgot your keys, briefcase, or backpack? 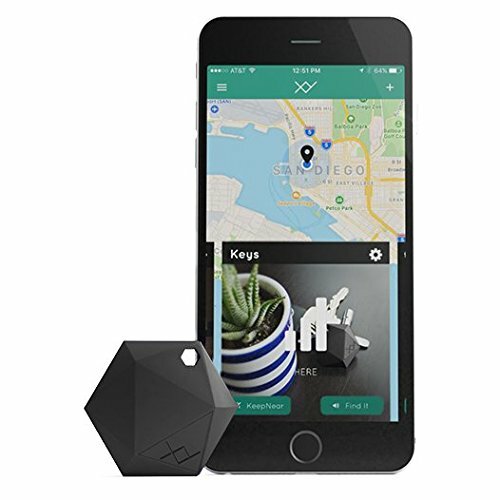 XY's KeepNear notifications will set off an alarm when you leave important things behind plus it can alert you when lost items re-enter within 300 feet of your phone. Set up Geo-Fencing to notify you when a child or pet leaves a certain area. The vast XY Community works as a Lost and Found network, other XY devices (privately) keep an eye out for your lost or stolen item! ✔ BEATS THE COMPETITION! Water-Resistant, Replaceable Battery (3-5 Year Life Expectancy), Instant Notifications, Louder Ringer, and a Sleek and Stylish design. XY4+ is our most advanced and accurate Bluetooth Tracker yet! ✔ UNLIMITED WARRANTY Buy with confidence knowing XY4+ has an extended 2-Year Unlimited Warranty and a stress-free return policy. Impressive Anti-Loss Findables Device with Top-Notch Customer Service! If you have any questions about this product by XY | The Findables Company, contact us by completing and submitting the form below. If you are looking for a specif part number, please include it with your message.